Uniden have just released a new Projector into the laser Pico Projector market called the Uniden ULP1000. This neat little projector has a WGVA 848 x 480 resolution and a 5,000:1 contrast ratio and can project an image upto 100 inches diagonally in size. 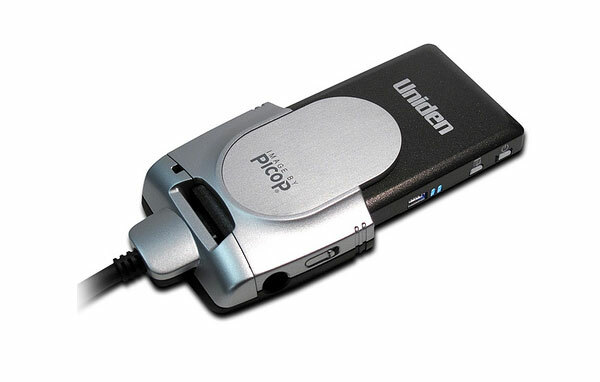 The Uniden ULP1000 comes with a charging station (pictured below) that you slot the projector into rather than a normal power adapter and plug and a full charge will give you approximately 2 hours of playback. The Uniden ULP1000 Laser Pico Projector is fitted with auto focus laser technology that will allow it to project a crystal clear image even on a curved surface from 6 inches or less to 200 inches or more.